Since the tangible aspect is missing for online business, online customers love when their shopping experience feel personal. That’s why businesses working hard on showing gratitude to their customers humanizing the relationship, and automated thank-you emails are a way of doing so. A thank you email is not just an email you send when customers buy from you. It is more than that. What are automated thank-you emails? An automated Thank-you email is used by businesses to build a healthier long-term customer relationship. Expressing thanks shows people how much you care and appreciate their time and generosity. Remarkably, thank you emails help businesses gain customer engagement which results in great brand loyalty, in a way it does humanize the relationship between your business and your clients. Why Should You Send Thank-you Emails? Unlike buying directly from a store, customers don’t get to have that tangible experience with your business. For that, automated thank-you emails help you provide your customers with a feeling of reassurance from the time they have clicked the order button until they receive your product. In particular, thank you messages are an approach to start assembling a relationship online that is like the in-person connections your clients have with physical brands. When to Send an Automated Thank-you email? 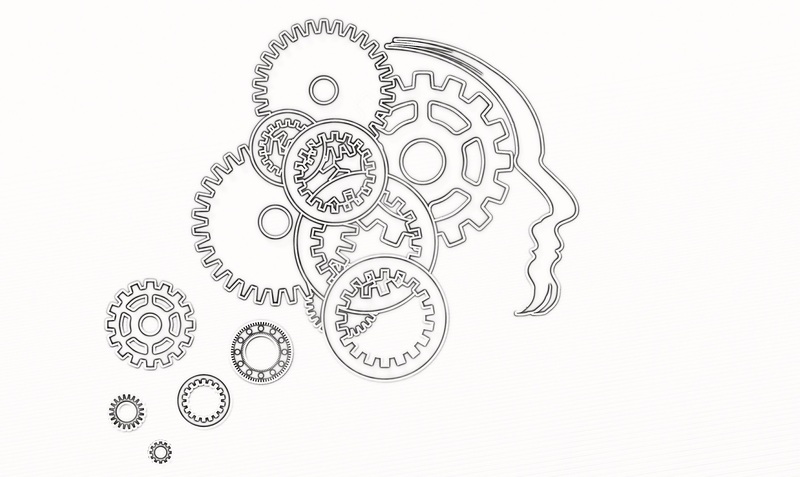 A thank-you email is a user-action based email. It means unlike broadcast emails, your thank you notes are triggered by specific user action to make sure your emails are sent at the right time, reaching out the right person. And by a ‘user-action’ we do not only refer to placing an order, but there are also various occasions you can trigger your automated thank-you messages to be sent on. Our parents taught us how to say “Thank you” at a very early age, but a great thank-you email is not as simple as it seems. It is more than that, it is considered a customer delight. How to Set up an Automated Thank-you Email? You can easily set up your automated thank-you emails on Automizy and trigger different thank-you messages to specific targeted contacts, based on their actions on your website. Here is another example for blog subscribers automated thank-you email. Whenever a new subscriber opt-in for your blog newsletter a thank-you email is sent immediately to introduce your business and say “thank you for subscribing”. 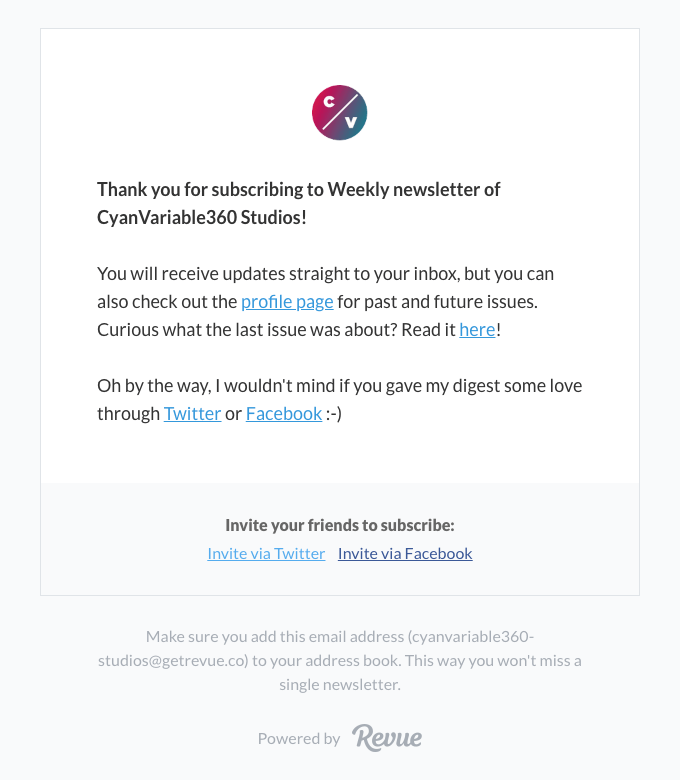 Followed by 1 day wait period, subscribers receive their first blog newsletter, and right after a couple more days, another automated newsletter is sent. 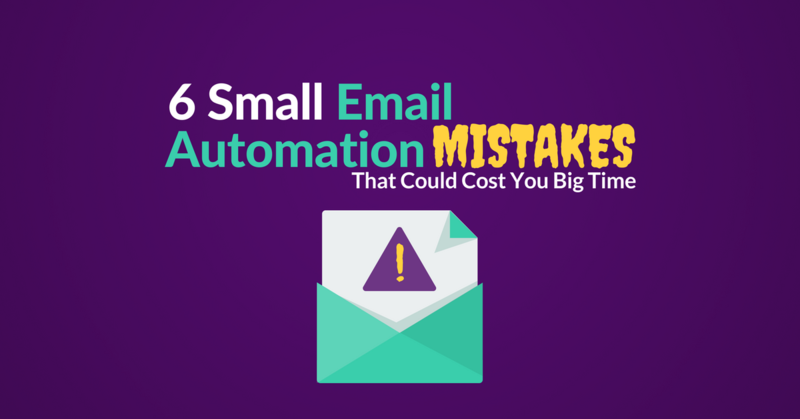 With similar automated email sequences, you make sure that subscribers stay close to you, starting from the moment they have subscribed and most interested in what you have to offer. Here are 15 thank-you email template examples that will inspire you with ideas for the design and copy of such emails, so how about we start! Imagine placing an online order and not receiving a confirmation email? Wow! What a horror story, even if you receive an email after a couple of minutes. 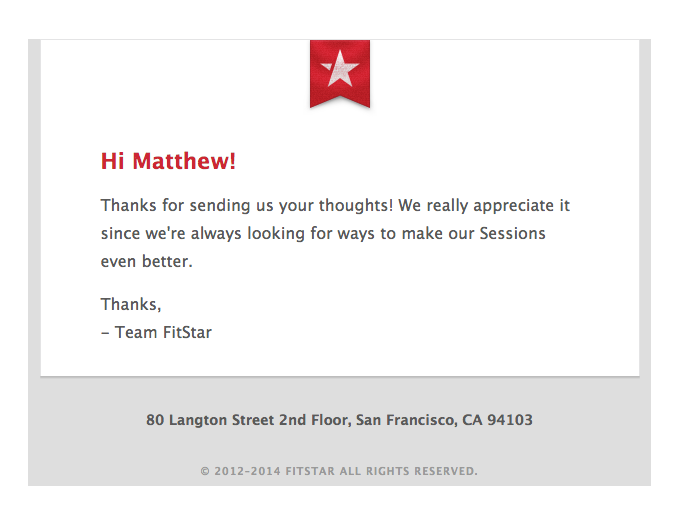 Confirmation emails are standard, elevate your game by thanking your customers for their payment. Starting the email copy with the invoice details, followed by a thank you note and further subscription details. Taking the time to show gratitude to your customers for making a purchase, makes the post-purchase experience unique and leaves a positive impression. Invite them to complete a feedback survey. Invite them to join a giveaway or event. Offer them a discount for their next purchase. Ask for a product review if their purchase is immediately available, like something downloadable. Another chance to connect with your clients is the point at which they register to your product or software. An elegant Thank you for registering email template design example from Audient. It has a clean design, easy to read and displays all the right info with a wide simple call-to-action button. Personalized end of the year thank you customer email template with pretty slick animation that Mutual Of Omaha used to show gratitude to their partners during that year, and strengthen the relationship for the next one. Thank you for your order emails are the most used automated thank-you email. It is the email that reaches users right after they place an order. As a very common automated email, customers expect to receive it.Thank you letter for your order are a must-have in email marketing automated campaigns for any business. Some customers are generous with their time and would take a moment to share their feedback regarding your business. Similarly to Google’s thanks for your review email template example, it is an opportunity to show gratitude to the customers who review you with an appreciation email. Using an opportunity in a transactional email to help spread or share your gratitude with others is a good thank you email idea. There are always great opportunities to reach out to your customers and thank them or show them gratitude as well. 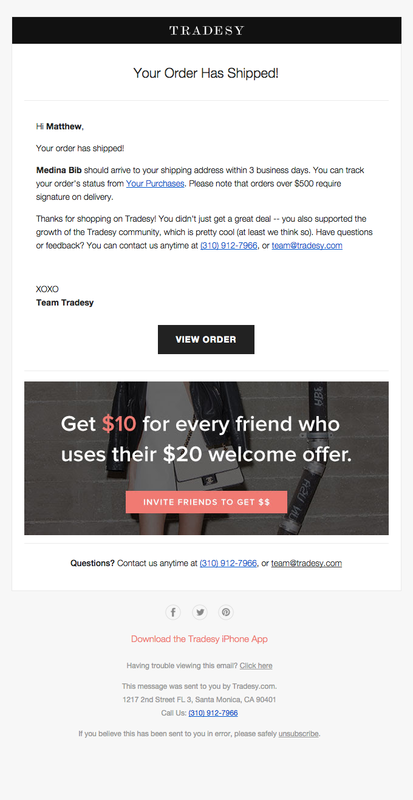 Online store Tradesy seems to do this well as demonstrated in the following thank you for shopping email sample. 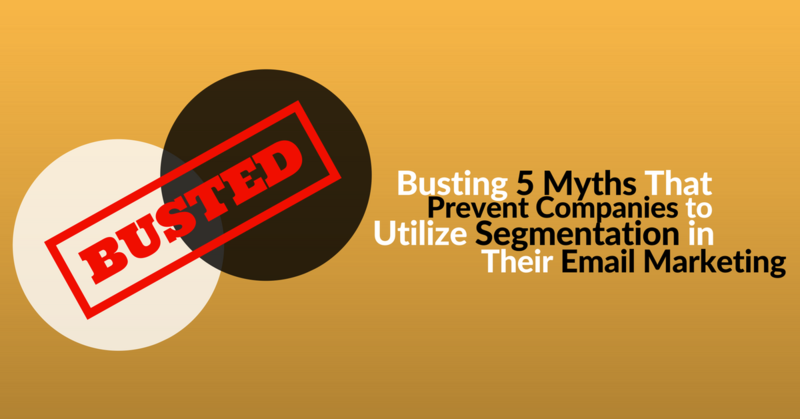 It’s always a good idea to reinforce a subscriber’s decision to sign up for your emails. One easy way to do that is to offer a quick overview which tells subscribers what to expect after joining your email list. 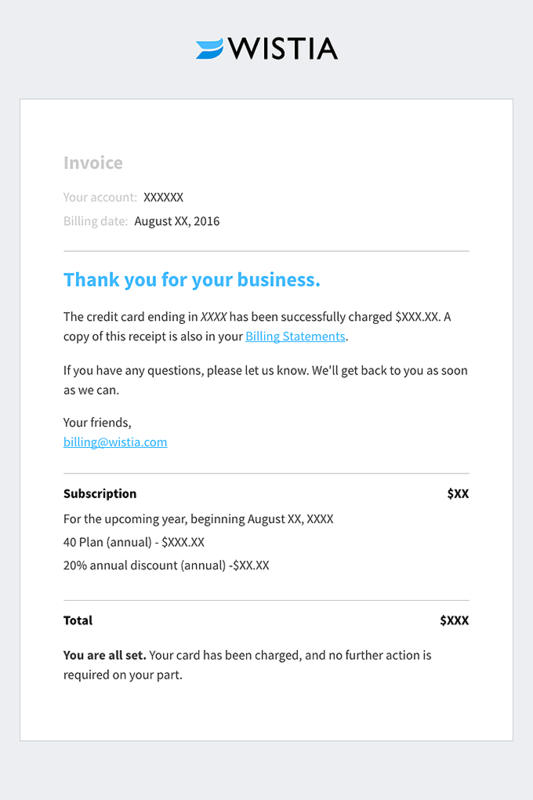 Codeverser does a great job with this thank you for signing up email example. When you run lead generation campaigns and new contacts subscribe to your list, you want to welcome to them with an intriguing thank you note for subscribing email. A thank you email is the first friendly exchange between your business and a new subscriber. 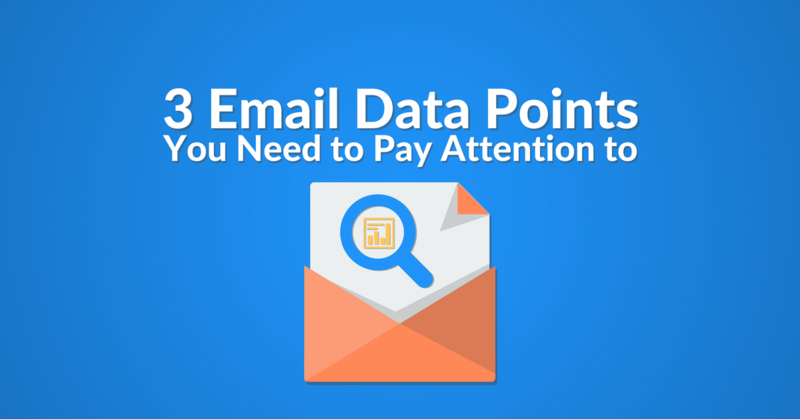 It sets the tone for future communications and encourages new members to manifest a better engagement with your upcoming emails. The “thank you for subscribing” doggie pic is hard not to look at in the following email design from BarkPost. Although featuring a by-the-numbers subject line (“Welcome to BarkPost”), the email copy is catchy all around. If your business consists of the part of holding events, this is an opportunity to reach out to your attendees and thank them for assisting the event and their support after the event. You can also send such thank you emails after online events such as webinars. It is a great way to show appreciation for those who engaged with your content. Customer opinion about the experience they have with your brand is useful data that you can use to optimize your business to meet customer demands more accurately. As customer feedback is important for your business evolution, this can be an occasion to send thank you emails to those who share their feedback with you. Thank you email to customers are also used by most businesses around the world. And particularly air companies dig it. Thank you for booking, etc. 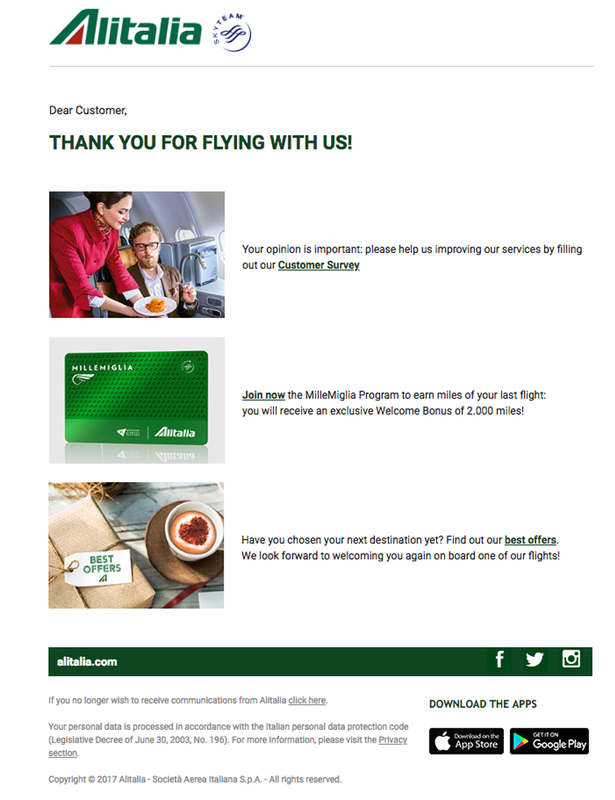 If you booked a flight even once in your life you probably received a similar thank your email for booking. 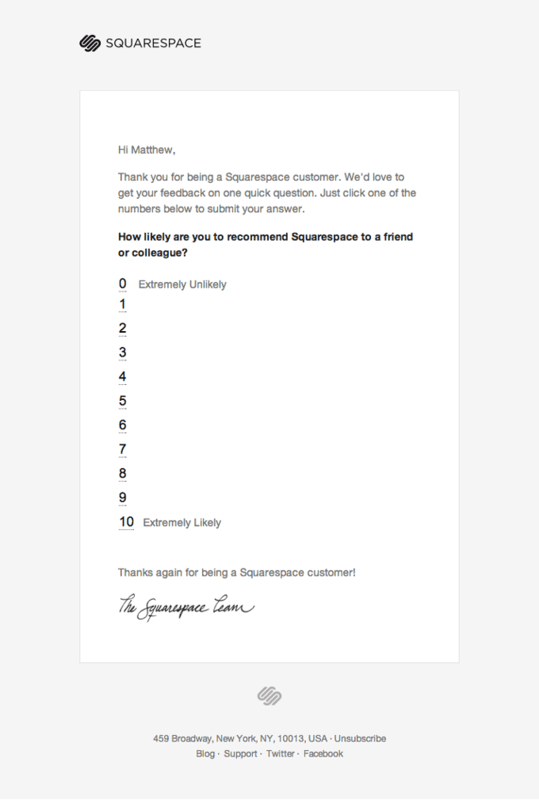 SquareSpace also sent a thank you customer emails to their users and in this email, they showed appreciation toward their customers and at the same time invited them to fill in a quick survey to measure customer satisfaction. Whether this is your company’s anniversary, customer anniversary or any other holiday (Christmas, Thanksgiving!) show some gratitude to your network. Keep in mind you are sending a thank you email to appreciate your community, not to sell anything. FitBit email reflects appreciation and gratitude only, there is no call to action button in the email. 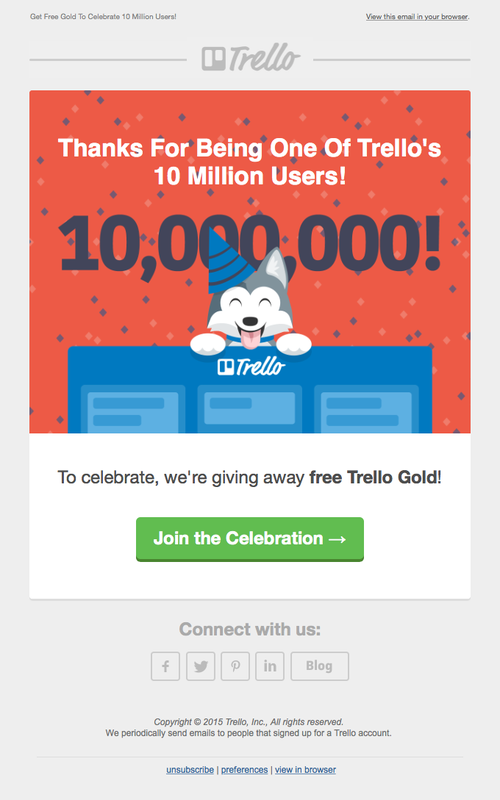 This is another great example of a wonderful milestone thank you email, with extremely simple large CTA to drive traffic. An example of great Thank you for booking email example sent from The Aviary restaurant to confirm a customer booking. 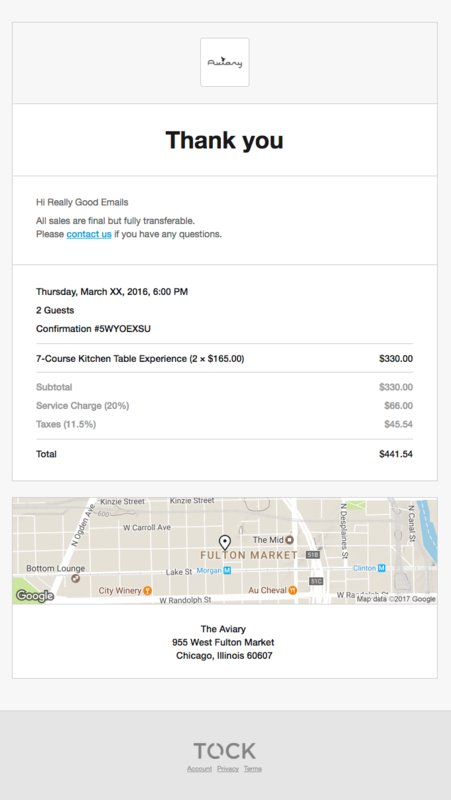 The email copy starts with a large Thank you title, including booking details, invoice and the location of their restaurant. 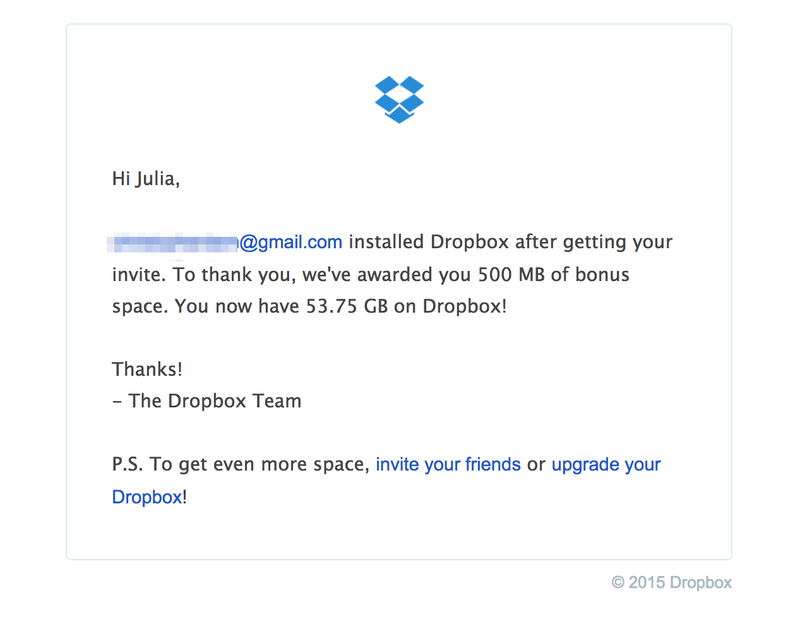 DropBox’s thank you for referral email shows gratitude for their users who referred a friend awarding them with 500 MB bonus space. Satisfied users did their part and invited their friends to your product/service, it is your part then to thank them for the referral and show gratitude. Did your purchase live up to your expectations? Awesome. Glad you found something you like! Probably you noticed some of the thank-you email subject lines include emoji symbols. As indicated by a report by Experian, 56% of brands utilizing emoji in their email subject lines had a higher email open rates. You can insert emoji symbols to your email subject lines with Automizy and experience the thrust yourself. Your thank-you emails are also a great place to promote purchase-related products for your contacts as uncovering a new scope to increase your average order value and the number of repeat purchase. Recommend uniquely products that are related/similar to the placed order, three is the optimal number of products to recommend. Promote products that are in the same price range of the purchased one. Keep in mind you are recommending not advertising in your thank-you emails, make it seem natural. An upsell example comes from Walmart, which they included as a sidebar in a thank-you email sent to a customer right after placing an order. 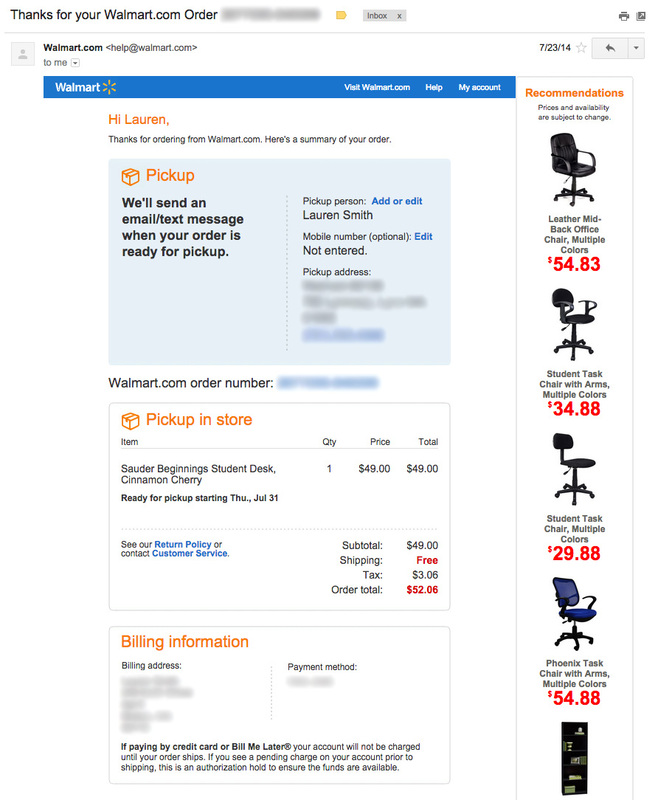 Cross-selling a student chair with arms to a customer who ordered a student desk. It is highly-personalized, that what makes it look organic and natural. Saying “thank you” may appear to be a basic thing, yet it is important to your customers’ experience. It indicates that they’re something other than just another regular buyer. Are you sending any thank-you emails to your subscribers? If you’re doing so send us your emails and we’ll add it to our collection and help inspire. Thank you mail always impact to the customer and that should be attractive and impressive. Thanks to the blogger who writes good post with different varieties. All the mail patterns are good. Definitely. I’m glad you like the article and the examples, thanks!